The Augusta Webster, MD, Office of Medical Education (AWOME) is located in the Montgomery Ward Memorial Building, which opened in 1926 as the first medical school building on campus. 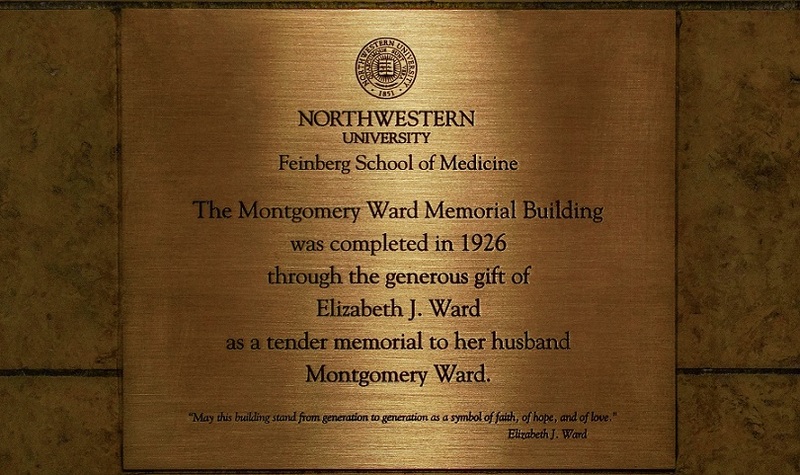 Between 1923 and 1926, Mrs. A. Montgomery Ward gave the University just over eight million dollars for the medical center building in memory of her husband, Chicago mercantile giant, A. Montgomery Ward, who had died in 1913. Her gifts were also used as endowments for public clinics, faculty chairs, research grants, scholarships, and building maintenance. Built to house the medical and dental schools, the new medical center building, the Montgomery Ward Memorial, was the first “skyscraper” medical center in the world. The new campus provided the opportunity for the medical school to become co-educational. The announcement that women would be admitted was made on May 31, 1924 and the first women students matriculated in the fall of 1926.